(Elephant Exploitation - Entertainment - 21) Three bullhooks are used simultaneously on one elephant to force a headstand. Two handlers are using a bullhook on each hind foot while Gary Jacobson uses a bullhook to apply pressure to the back of the head. 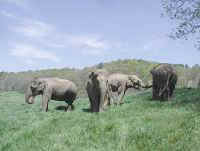 A rope is affixed to the elephant’s trunk to keep it pulled under and between the front legs. 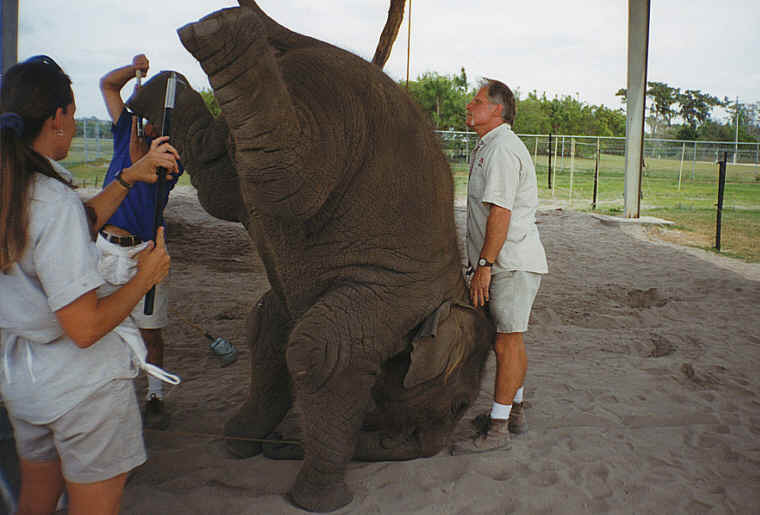 Read Whistleblower Validates Ringling Cruelty to Elephants.